Learn how to start a brewery with detailed steps and important industry info. Includes licensing fee info, typical costs, formation tips, and calculations. If you're a craft beer enthusiast, or if you want to cash in on the craft beer trend, you might be wondering how you can start a brewery. There is lots of important information that you need to know as you get started, so follow the steps below. You probably already know that brewing beer is a delicate and complex process. Starting a brewery is also a complex process because the industry is highly regulated, has high standards, and can only be entered into with the right kind of facility and equipment. Having said that, there is no doubt that craft beer is extremely popular right now, so there is plenty of room in the market for more breweries. 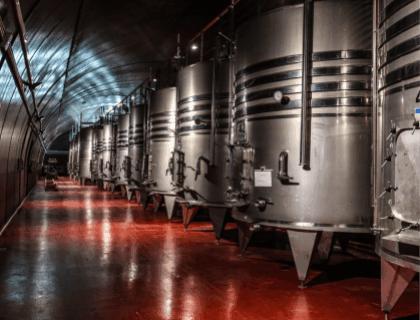 In this article, we'll take you through the necessary steps for starting a brewery, including what equipment you'll need and what details you will need to have in place before your doors open. 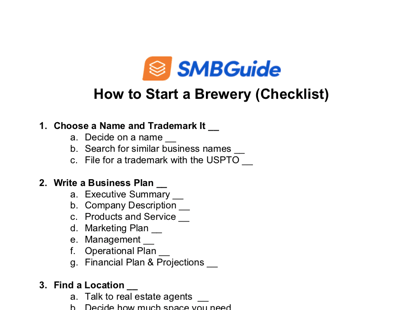 Use this free checklist as a convenient point of reference when you are ready to start your own brewing business. 1. Choose a name and trademark it. It would be tragic if you created logos, filed all of your paperwork, and printed business cards before discovering that the name you would like to use for your brewery is already taken. To prevent this, choose a name before you do anything else. Search to make sure no one else has taken your name. You can cross check your idea by Googling the name and variations of it to find out if there is already a brewery in existence that bears the name you want to use. If there is, simply choose a different one. If you can't find anything with a Google search, you can double check by searching the United States Trademark and Patent database. Brewery start-up costs depend on the initial size of the brewery. Microbrewery startup costs can range from $100,000 to over $1 million, according to our research. If you are wondering how to start a brewery with no money, it is virtually impossible since you need so much equipment. File a trademark by filling out an application with the USPTO (United States Patent and Trademark Office). Attorneys at the USPTO will review your application to make sure that it complies with legal standards and does not conflict with existing trademarks. Check out How to Name a Business to learn more about naming a trademarking your new business. In any business, a detailed business plan is crucial. The same goes for a brewery. You and your business partners need to sit down and put together a plan that details finances, projections, direct competition, and any other details that are relevant to the formation of your brewery. If you're starting a brewery, you need to be ready to compete. There are 7,000 craft breweries in the U.S., so the competition analysis portion of your business plan is very important. You don't need to compete with all 7,000 of them, but you do need to realize that this is a busy market. There are likely already several craft breweries in your region, so you will need to understand what they are doing and how your plan is distinct. To simplify things, start by asking yourself, "Why would customers buy my beer instead of the beer from brewery XYZ down the road?" Money is important. As with most things in life, the financial portion of the plan is very important. If you are looking for people to invest in your brewery, you will need to provide as much financial information as possible. This includes how much money you need to open, what your overhead costs will be, how many people you will employ, how much revenue you anticipate making, and so on. Contract brewing takes place when a company hires a brewery to make a package beer for their brand. Contract brewing is becoming increasingly popular and it is sometimes beneficial for breweries that need to secure more revenue to pay for their equipment. When you're starting a brewery, a location is not optional. Breweries need lots of floor space for equipment. They also need space for a bar or taproom where patrons can sample beer unless you plan to sell all of your products directly to stores and restaurants. Either way, you need a spacious location that can function as an active brewery. First, decide if you want to build or buy. 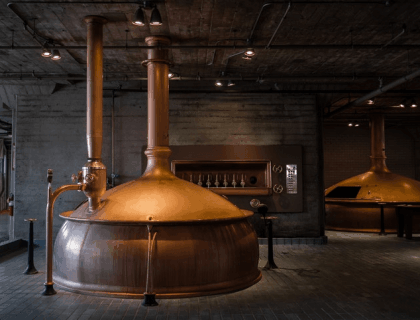 Some new breweries are built from scratch so that they can be fully customized, while others are created by renovating an existing building. It's difficult to say which option is easier, but construction is sometimes better because breweries require a unique setup and retrofitting an old space can be complex and costly. Ample floor space to increase the size of your brewery in the future if demand increases. Ceilings with a minimum of 12" clearance. State-of-the-art plumbing and electrical systems to hook your equipment into. Proper floor drainage for spills and washing equipment. Sealed and acid resistant floors that don't break down from contact with chemicals. Good ventilation to remove steam from the building when your brew kettle is boiling. 4. 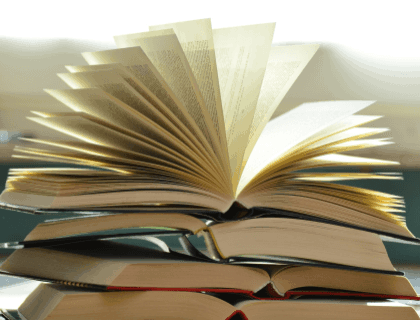 Form a legal entity. There are a number of ways that you can structure your business when you are starting a microbrewery. You can create a corporation, partnership, or LLC. Setting a brewery up as a sole proprietorship wouldn't make sense, because you will likely need employees and have a tax burden that is too large for one person to carry on their own. Most local breweries start as an LLC (limited liability company). In an LLC, ownership is usually limited to just a few people. This could also be said of a partnership, except partners must each bear some responsibility for taxes on their individual tax returns. In an LLC, you are only taxed on income that comes out of the company. Thus, when you're opening a brewery and reinvesting most of your initial profits, the tax consequences will be very minimal. A further benefit of setting up your new brewery as an LLC is that it gives you greater control over how the company operates. In a business that is very hands-on, this control is important if you want to be able to grow and adapt. This will help you keep track of products and ingredients as they come in and go out, help you track costs, and know when you need to order. We recommend Odoo Inventory and Loyverse Advanced Inventory for breweries. 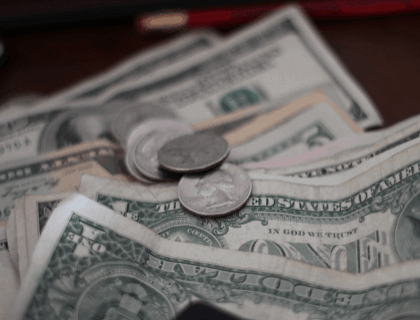 Point of sale systems allow you to accept a variety of payments and track sales. A POS can be particularly useful if your brewery has a taproom. We recommend Square and TouchBistro for breweries. With accounting software, you can manage payroll, pay bills, record expenses, generate reports, and more. FreshBooks and Intuit QuickBooks Online are both great options for breweries. Brewing equipment requires regular maintenance to keep up with production. With maintenance management software, you can create reminders that notify you when scheduled maintenance needs to take place. We recommend UpKeep and Maintenance Pro for breweries. 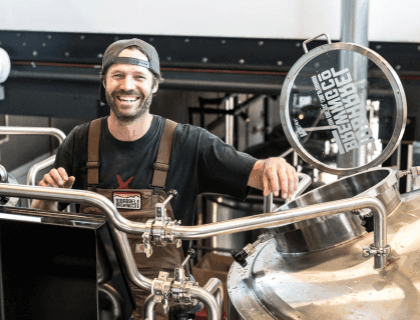 Even small breweries have human resources tasks to manage, such as hiring, training, administering benefits, developing workplace policies, etc. You can use HR software to help you organize your administrative duties. We recommend Gusto and Bamboo HR for breweries. Operating a brewery is very labor intensive, so you will need at least a couple of employees, if not more. The Master Brewer is the person who is responsible for creating recipes, starting new batches of beer, monitoring progress, testing batches, and so on. Every brewery needs an experienced Master Brewer who understands the process from start to finish and knows how to control quality along the way so that you end up with a delicious finished product. Hire talent, but train if you have to. You can train employees with no previous experience working in a brewery, but since there will be many other challenges when you are opening a brewery for the first time, it is advisable to hire people who already have some experience in the field. You can use hiring software to help streamline your hiring process. 6. Get a license from the TTB. The TTB is the Alcohol and Tobacco Tax and Trade Bureau, a department of the United States Treasury. Every brewery must obtain a Brewer's Notice from the TTB in order to operate legally in the United States. You can apply for your Brewer's Notice online through the TTB website, www.ttb.gov. When you are filling out the Brewer's Notice application form, it's best to include as much information as possible about your brewery. This will increase the chances of your application being accepted. Include details about your legal structure, your business location, and so on. Getting a license from the TTB takes time, so apply early. The TTB handles thousands of applications, so it may take over four months for yours to be processed. Keep in mind that you need to sign a lease before submitting the application, but your brewery cannot legally open until your application is approved. This delay can put a strain on your financial plan, so be flexible and try to make the most of the waiting period. 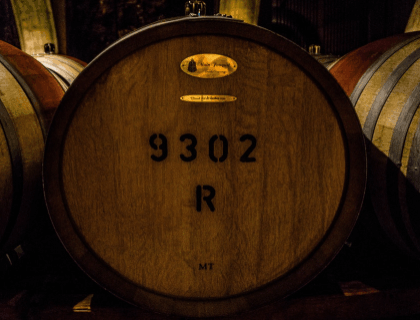 One of the most important brewing production metrics is Revenue Per Barrel. Essentially, revenue per barrel tells you what your gross earnings per barrel are. To find this number, all you need to do is divide your total sales revenue by the total number of barrels sold. For example, if your gross sales are $500,000 and you've sold 1,000 barrels, your revenue per barrel is $500.00. As you can see, the final result ($350/BBL) is your profit per barrel, or Margin per barrel, as it is sometimes called. Every state has unique regulations, but when it comes to the sale of Alcohol, there is always a requirement to obtain the necessary permits. There may also be additional health and safety criteria that your brewery must meet before opening to the public. To find out what licenses and permits you need, visit your state's small business website or contact the office of the small business development director. On the website, you should be able to find out what the essential requirements are for opening a brewery. Distribution is an important means of securing a foothold in the market, but not all breweries address the question of distribution out of the gate. You may decide that you only want to serve your beer on-location as you get started. This is fine if you have a slow growth trajectory and would like to establish a committed customer base before packaging your beer or selling it in restaurants. Distribution is all about business relationships. If you want to get an early start on distribution by selling through retailers or restaurants, you will need to form partnerships and agreements that allow you to get your product from your brewery into customers' hands via a middle man. Create a network of distributors you trust. Talk to local restaurant owners and ask them if they would be willing to use one of their bar taps for your beer. Restaurant patrons usually want local beer options, and it can be a great way to earn customers by giving them easy access to your beer in a place where they already like to go. You can also meet with retail store owners and ask them if they would be interested in carrying your product. Starting on a trial basis will allow store owners to see how well the product sells, and strong sales could lead to increased orders. 9. Create a brewing production schedule. With your equipment in place and your staff on hand, it's time to start brewing beer. Breweries have lots of monthly expenses, so you need an efficient beer production schedule to keep your sales running smoothly. Create a brewing production schedule to maintain efficiency. With a schedule, you can keep up with demand for each of the various beer flavors that you offer. As your sales increase, you will start to notice trends and you can adjust the schedule according to demand. For example, if one beer is more popular among patrons than the others, you could add an extra brewing cycle so that you have more of it on hand. A brewing schedule can be created using a spreadsheet, or other scheduling software. Use whatever is most convenient for you and make sure it can be accessed and modified by your Master Brewer. 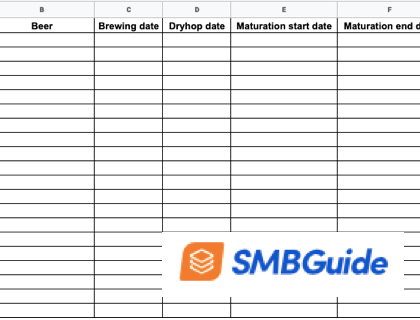 Use this brewery production schedule template in Microsoft Excel format to create a brewing schedule for your brewery. You should be careful not to over-extend yourself. When you start a new brewery, it can be tempting to ramp up production in order to pay for all of the equipment that you've just purchased. On the other hand, it can be equally tempting to experiment with recipes and start with a small production volume. You need to strike a balance that addresses your cash flow needs and maintains the quality of the beer. Veteran brewers recommend working in another brewery to familiarize yourself with the brewing cycle before going out on your own. This knowledge will help you - as an owner - to understand the dynamics of the brewing process. Get a Brewer's Notice from the TTB. Create a brewing production schedule. How much does a brewery owner make? Brewery owners earn between $30,000 and $60,000 per year, according to our research. However, owners' earnings tend to increase with the size and scale of the brewery. What is the difference between a microbrewery and a craft brewery? In brewing terms, "micro" refers to size while "craft" refers to style. A microbrewery is a small brewery that produces less than 15,000 barrels per year. A craft brewery is independently owned, produces less than 2 million gallons of beer per year, and uses at least 50% traditional malt. What equipment do I need to start a microbrewery? How long does it take to brew a single batch of beer? If you're starting a microbrew batch, you can expect it to take a minimum of two weeks to ferment, but quite possibly longer if you want to age the beer for maximum flavor. Do most breweries start small? Some breweries begin as very small operations and then expand as money comes in, while others start on a large scale right away thanks to major outside investment. You can use the steps above in either case, but our advice is geared toward someone who wants to know how to start a small brewery. Choose a name and trademark it. Get a license from the TTB. "Everything is three times as expensive and takes twice as long as you think." "Start early with a focus on quality, which includes not only outstanding recipes the market desires but also consistency so that every beer matches the profile intended by your brewers." "While running your own brewery is probably most beer lovers’ idea of ‘living the dream’, the truth is more a case of blood, sweat and beers! Yes we enjoy the occasional after (before, or during) work beverage, but it’s earned by everyone working for it. And when we aren’t working, we are thinking about it." "I think a lot of times young brewers get their equipment first, then go back to the drawing board to try and see what beer will fit around it. Instead, you’ve got to figure out what the ideal scenario is for your brand, for your liquid, then design your equipment around that." By using these steps, you can get started with your dream of owning and operating your own brewery. Breweries are regularly opening in cities and small towns all over the country, so why not get in on the trend and showcase your own local product? To learn more about starting your own business, check out our How to Start a Business guide.